Today was our monthly meetup, and despite the heat, we had an awesome time with our low-riding, long-bodied friends and their humans. On our DOGS Facebook page, many have expressed interest in a meetup group in their area, and our advice is as follows: 1) Check Facebook, Meetup.com, Yahoo Groups or similar social sites for a group in your area. 2) If there isn’t one, create one! 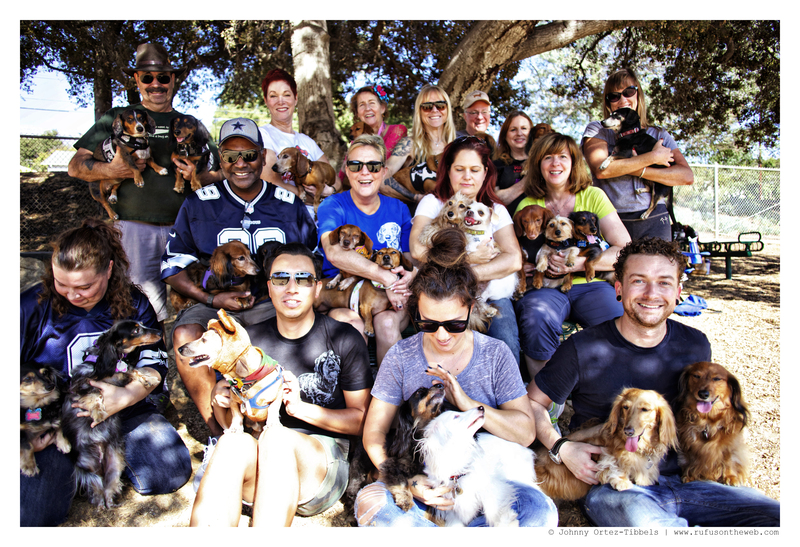 Meetup groups are fantastic for both our dachshunds and their devoted parents. Making your own meetup group is pretty simple. Pick a day, time and place. After you decide on the details, post notice on varied social media sites and on local neighborhood bulletin boards. The turnouts will be different each time. Some days will yield more than others, but if you plan it and advertise it, they will come. 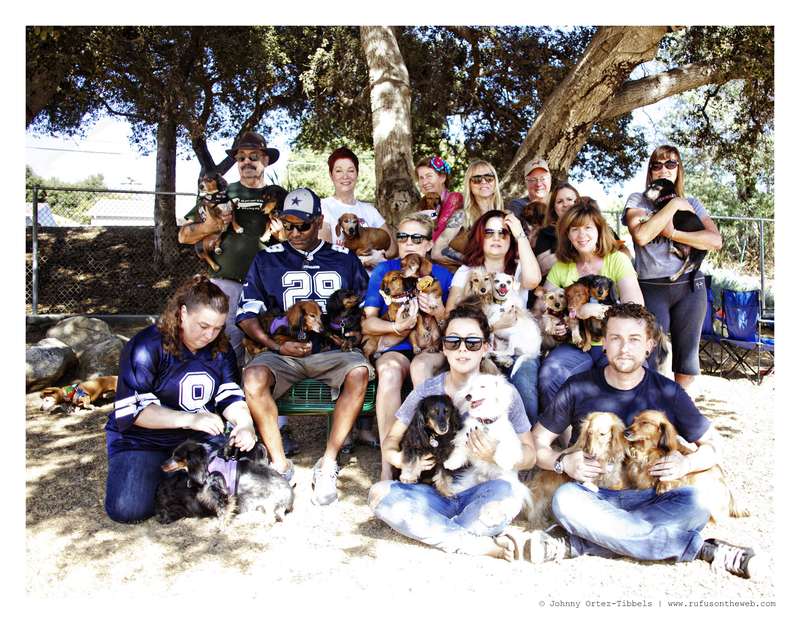 For us, even when only a few folks come out, we still have a good time because really how can you ever have a bad time with your dachshund(s) and their friends. 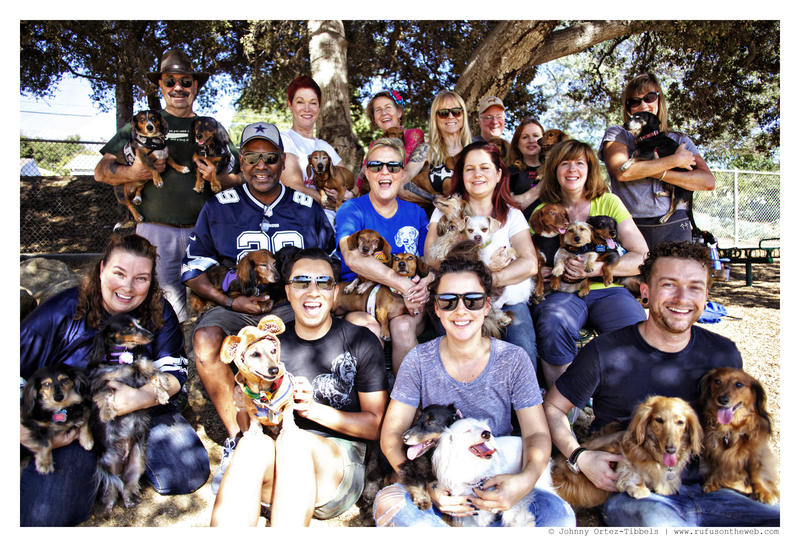 When the meetups are small it allows us quality time together, and when they’re big, we enjoy the sight of flooding the dog park with our sausage dogs. If you create a meetup group, let us know and we’ll happily share the information with our fans. 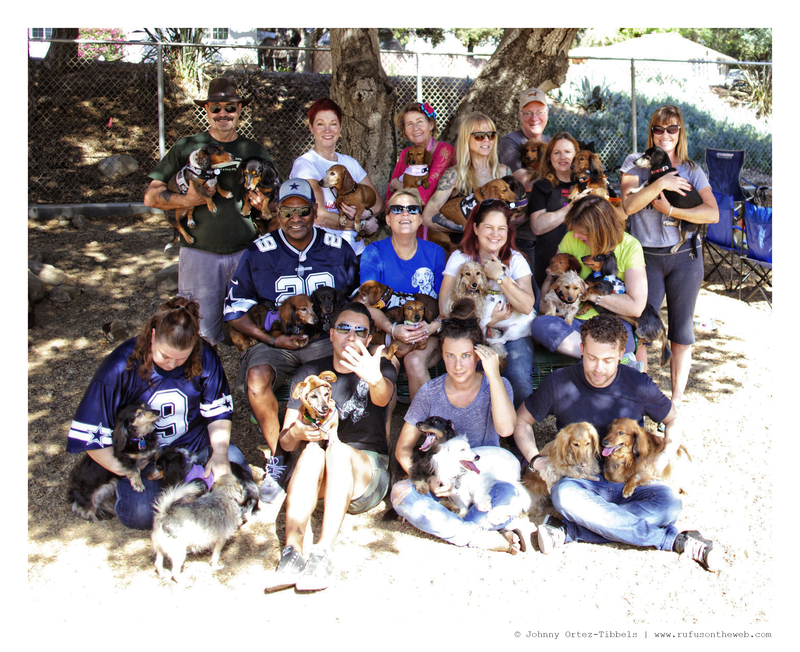 This entry was posted in Rufus' Friends and tagged #ADachshundsLife #HappyHounds, #dachshund, #MonthlyMeetup, #smooth dachshund, #WienerDogs #HotDogs, doxies. Bookmark the permalink.